This section lists individual English teachers and also small independent teacher groups offering private English lessons, either for students studying English as a first language, or English as a second language. These listings will be sub-divided into specific categories and by country as they become larger. For more information on any of the English teachers or teaching groups below, simply click the listing that interests you. 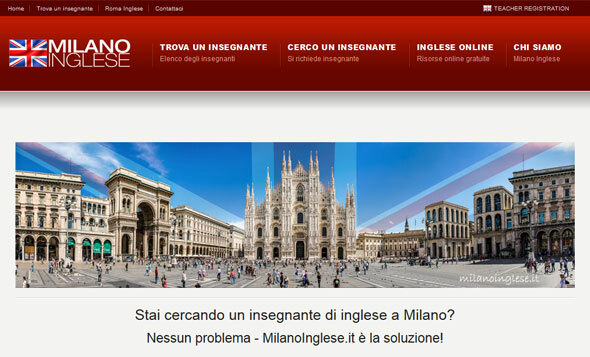 MilanoInglese.it is an English teacher directory for Milan and Lombardia which promotes independent English teachers living and working in the area. Teacher registration is free. 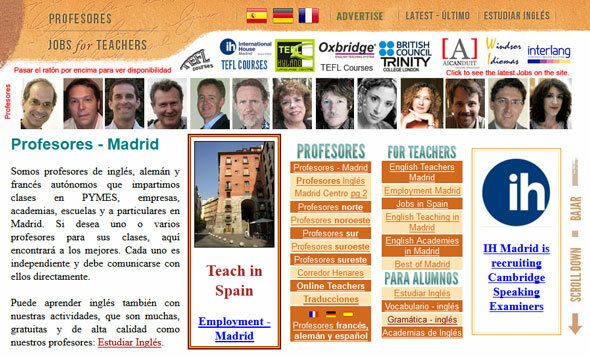 The MadridTeacher website represents a group of freelance English teachers living and working in Madrid, Spain. The site also lists bilingual English, German and French teachers. 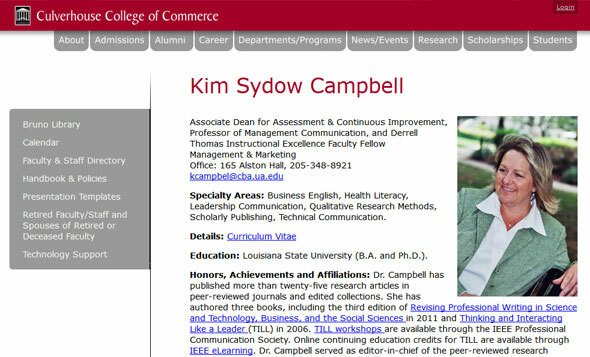 The faculty for the University of Alabama , describing the background, experience, and contact information for Dr. Kim Sydow Campbell, PhD, author of three books and more than twenty-five research articles. La docente is a trilingual teacher called Nieves, teaching English and Spanish in Saronno, Lombardia. Nieves teaches young students, from tiny tots through to university students. 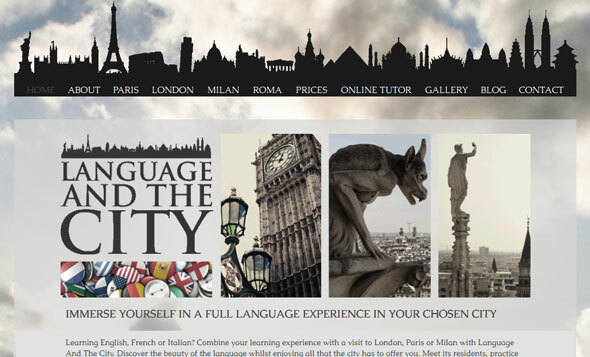 Language and the City offer a tailor-made linguistic and cultural experience in English, French or Italian on either a 1-1 or small group basis, with language lessons available in London, Paris or Milan. Docenti-Inglese, a small group of independent English teachers working in the Origgio, Saronno, Como and Varese area of Italy, providing English lessons to both private students and companies. 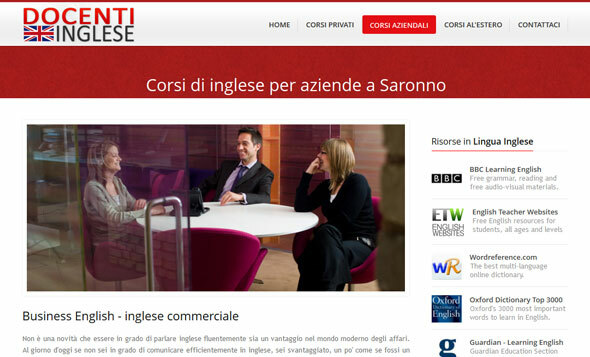 Insegnanti-inglese is the website of a small group of independent English teachers working in and around Milan, offering private English courses for individuals and companies across Lombardia in Italy. 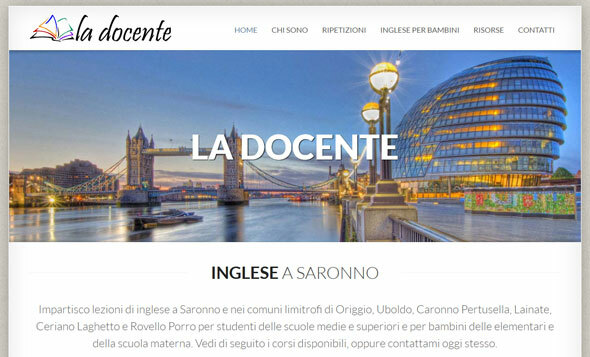 ildocente.com - or 'the teacher' is the website of an English teacher in Milano, working with local and multinational companies, providing general and business english courses. 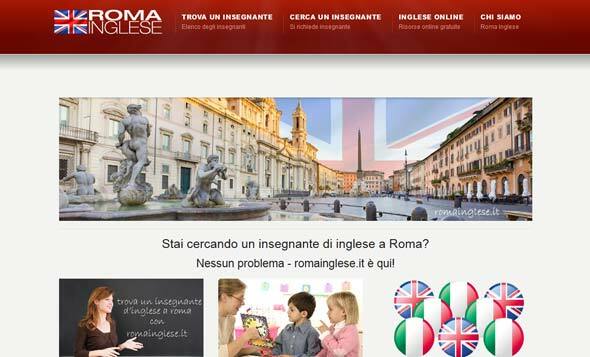 RomaInglese.it is an English teacher directory for Rome and the surrounding areas, promoting independent English teachers living and working in the area to find private students. If you're an English teacher and have a website you'd like included here, hit the button to submit it to us!